This section of the website features a map of the GAL, how everything connects and fits together. The legs are divided up in Eastern, Northern, Western, and Southern sections, with each of the 4 offering clickable links to dates and mileage information, along with links to daily journal entries for each of the four legs. As usual, this odyssey section also contains a list of Nimblewill‘s sponsors, his gear, and his itinerary, along with his journals, photos, and videos from along the trek. 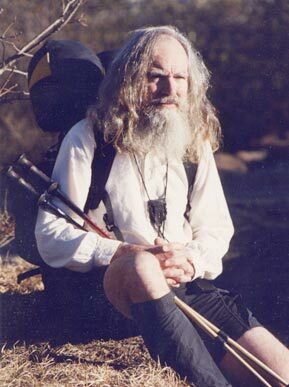 Pingback: After Tens of Thousands of Miles, Has Hiking Legend “Nimblewill Nomad” Finally Retired?